The Law Man provides uniquely personal, powerful, and flexible legal guidance for individuals and small businesses in southern Sydney. Our firm is, and will always be, a small firm. We take pride in personalised service and accessibility for each of our clients, and will never grow too large to advocate on their behalf. We practise the utmost authenticity and integrity to maintain lasting relationships and ensure the best results for our clients. We work hard to stay knowledgeable of the ever-changing business landscape to provide the best strategy and protection for our clients’ businesses. We listen to our clients with attentiveness and focus to ensure the best solutions and working relationship. Efficient legal solutions are the most cost-effective. With over 30 years of experience, we skilfully identify objectives, craft strategies, and deliver results. Effective relationships are built on excellent communication. We remove assumptions and realise objectives while keeping our clients informed in every step of the process. The Law Man operates under a fixed value pricing structure in most cases. Traditionally, law firms charge steep hourly rates that undermine the client/lawyer relationship and effectiveness of solutions. This system discourages good communication by putting a price on every call, resulting in unclear objectives, inefficiency, and substandard results. At The Law Man, we believe in charging fair prices in fixed, up-front quotes for our clients’ peace of mind and confidence in our integrity. Our clients never have to question our work ethic. We confidently adhere to accessibility and flexibility to address our clients’ legal matters in the most tailored, personalised fashion. When they call The Law Man, they find us attentive and ready to act efficiently on their behalf. 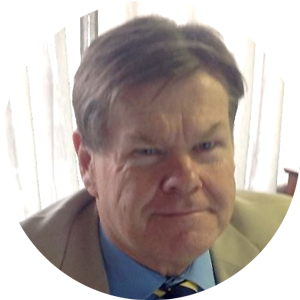 Grant E. Spedding is the founder and managing solicitor of The Law Man law firm in the southern suburbs of Sydney. Since completing the Solicitor Admission Board course (now known as the Legal Profession Admission Board) in 1982 and gaining admission as a solicitor in 1983, Grant has been protecting the rights of his clients with authenticity, vitality, and resolve in a wide variety of legal matters for decades. After more than 30 years of experience in large and small firms alike, Grant founded The Law Man to reflect the integrity of his personal principles in every interaction with his clients. The Law Man’s mission is to remain small and agile, providing personalised, accessible, and courteous service as it acts skilfully on behalf of any client.